More than 50 members from various Victorian Chinese community organisations attended an afternoon gathering at the Parliament House of Victoria on Thursday the 18th of August. 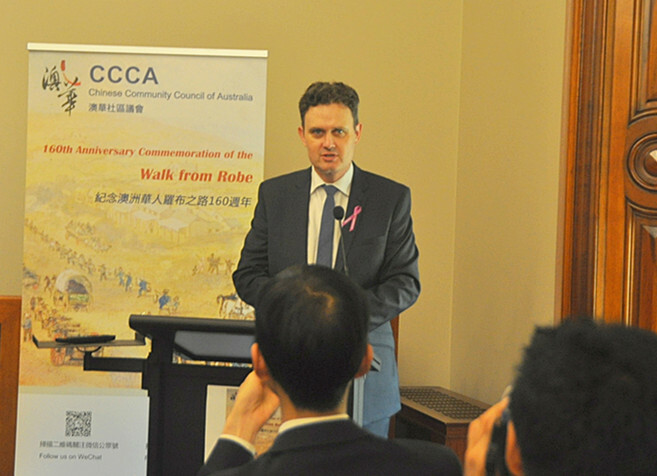 This event, hosted by the Victorian Chapter of the Chinese Community Council of Australia (CCCA), was an information session for the upcoming 2012 CCCA National Conference. 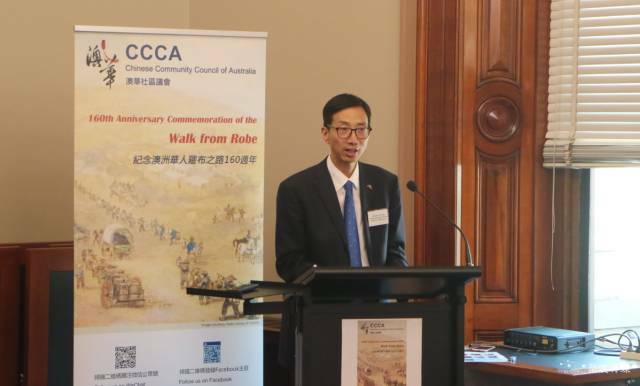 During this occasion, attendees received speeches by several MPs, all of whom warmly encouraged bipartisan cooperation amongst Chinese community groups of Australia and expressed that it was good to see the unity displayed by the Chinese community. 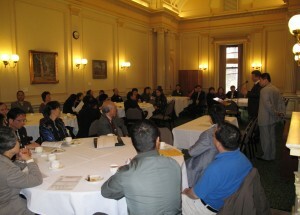 MPs who addressed the event included the Minister for Multicultural Affairs and Citizenship Hon. Nicholas Kotsiras, the Leader of the Opposition Hon. Daniel Andrews, the President of the Legislative Council Hon. Bruce Atkinson, Hon Tim Holding MP, Mr Robin Scott MP and the Chairperson of the Advisory Committee of CCCA (Victorian Chapter), Mr Hong Lim MP. 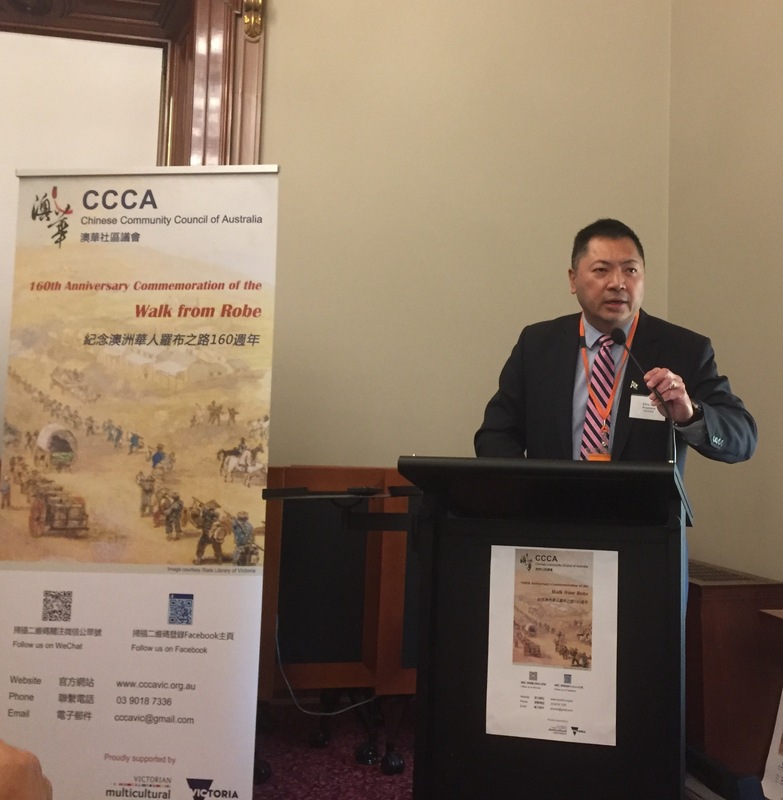 Dr. Stanley Chiang, President of CCCA (Victorian Chapter) said that there is a clearly bipartisanship from politicians of both the Coalition and Labor parties in supporting multiculturalism, and this gathering is a small but significant step for CCCA (Victorian Chapter) towards achieving its goal of creating a united voice for the Chinese Australians (CA). CCCA is not about party politics; it is about the entire Chinese Community and standing up for all of our rights.